Insurance. You are required to have it, required to pay for it and required to provide proof on demand that you have it. About ten years ago, shortly after my husband Paul and I got married, we switched to Farmers Insurance. We had been eating dinner at a Mexican restaurant and ran into a childhood friend of Paul’s that just so happened to be an agent with Farmers. As luck would have it, we were looking to lower our rates and this agent was able to save us a significant amount of money on our insurance every month. Awesome! We had a claim or two over the years (I have been rear-ended three times in the last six years and a horrific hail storm totaled our roof years ago) and our claims with said agent were always handled with utmost professionalism and in a timely manner. At the beginning of July, 2015, our friend-turned-insurance agent decided not to work with Farmers any longer. I understand that jobs come and go, occupations change, life goals change. No biggie! Surely the agent taking over our policy would be just as amazing as our last agent, right? For the past fourteen months, my husband Paul and I have been battling with Farmers Insurance. Not over an accident, or a claim on our home owner’s insurance, not over how much we were paying or obtaining proof of insurance. For over a year, we have been fighting with them trying to get them to cancel our policies. 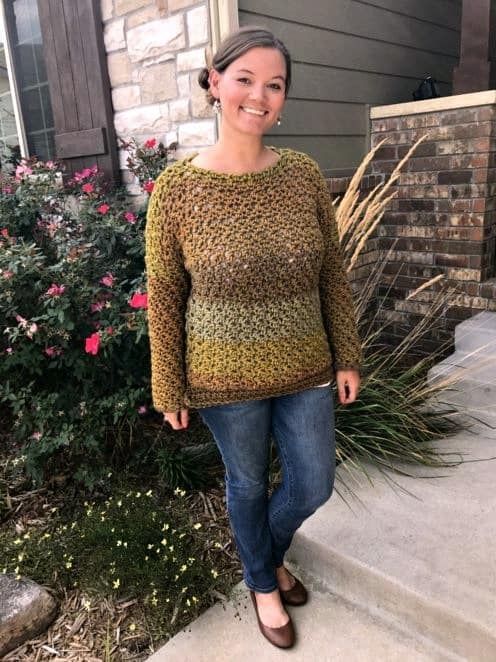 Let me tell you a little story…. grab a drink. Now to remove the truck from our insurance. A simple phone call, right? We called in July of 2015 to have that truck removed. Easy peasy. 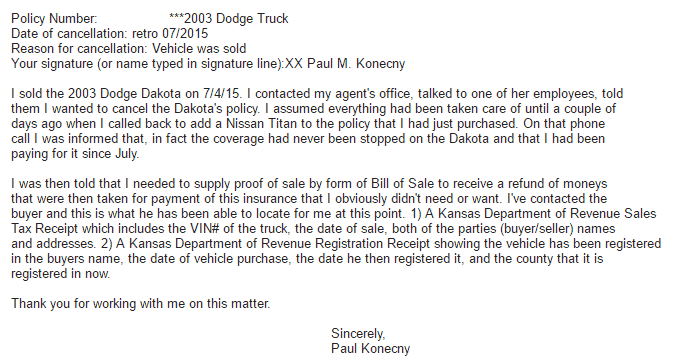 In January of 2016, we bought Paul a new Nissan Titan truck. We had saved up enough to pay cash for this new-to-us truck and we were feeling pretty good about ourselves, riding in our new ride. When we go to add Paul’s new truck to the insurance policy, we find that his old pickup (the Dodge that we sold IN JULY!) was still on our policy. To get this taken off (for the second time) we had to provide proof that it was sold. Fine. After jumping through hoop after hoop after hoop to prove that we sold the vehicle and that it should have been removed nearly SEVEN months prior, we thought it was canceled for the second time. We got a credit on our account and we thought we were golden. 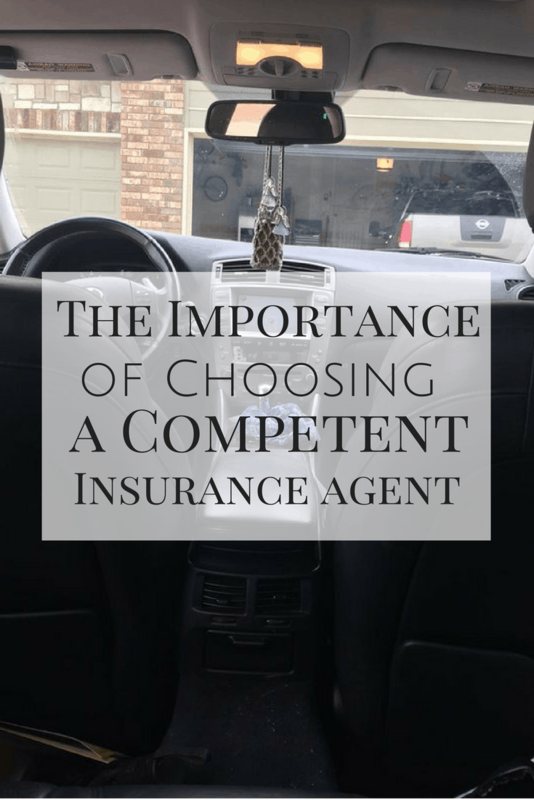 About a month ago (shortly after I bought my new-to-me car after mine was totaled in June) we decided to check around, see what other insurance providers could offer us as far as insurance rates/coverage go on our two vehicles and our home. 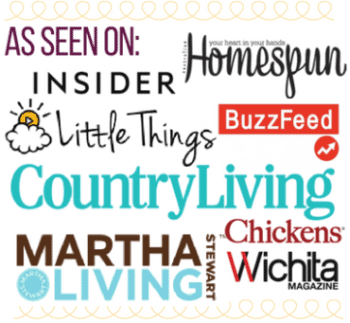 We found rates with a competitor that would save us a whopping $85 per month. That $85 will pay for our Netflix and our internet bill every month. So, we called Farmers about two weeks ago to cancel ALL of our policies (including home), and scheduled our insurance to start/end so that we would have no lapse of insurance. We are adulting so hard, you guys. Any guesses on what we got in the mail this week? Yes, that is a cancellation notice of the 2003 Dodge Dakota, that we sold in July of 2015, that we fought to have removed from our policies months after the fact. Today (9/13/16) we received proof of reinstatement of our policies from Farmers, complete with a bill for the cancellation and reinstatement fees. For ALL THREE of our vehicles…. That we cancelled two weeks ago, complete with insurance cards and all (edited to remove our address). When does this end, Farmers? I just want to cancel, and I want my refund (and I’d like that ASAP, btw) and I want my entire profile to be removed from your system. Stick a fork in me, cause this chick is D.O.N.E. As we speak, Paul is on the phone with the District Manager of Farmers. Please, oh please, let this be the last of it. And I’m fairly certain that we are owed a refund. I am requesting an itemized report of the debits and credits on our account. I want to see what exactly it is that we were paying for every month, and the breakdown per vehicle. I want them to remove us from their entire system if possible. So, my friends, please be careful with the insurance company/agent you choose. Paul is still on the phone, and at this point, I can only pray that I have the patience to deal with these people. Please update us! We have Farmers! Can you say who you are with now? Thanks! Hopefully everything works out like it should. We just switched to Allstate from Farmers. My family had been with Farmers for 25 + years. They are THE WORST!! Without a ton of detail: We were in an accident 3 years ago that the driver admitted fault and it was just settled this year.... Because the driver passed away. I have nothing good to say about them and the hoops we went through, but I have a stack of paperwork to prove it. I had the same issue with them! 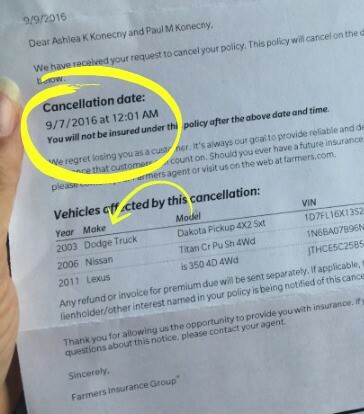 Such a nightmare to cancel even after they received everything and proof that we canceled months prior. We had other issues too they canceled our home insurance without telling us. Such a mess, we switched because our friend sold it and then he quit, that's when issues started. Never again! This happened to us! Only it was our home...we have it with mortgage like most people and realized after some time that there were always two insurance bills! If ever an issue skip the middle man and find the HQ phone number!! Good luck. Can't wait to hear the rest of the story... We have Farmers too!